RELEASE DAY NEWS FOR THE CAT’S MEOW! Oh yes, that’s right–The Cat’s Meow will hit e-reader shelves in early December! I’m beyond excited to share Kale with you all. Well, as long as you promise to give him back! Be sure to check out the book trailer below and don’t forget to add The Cat’s Meow to your Goodreads shelf!! While having the muscle around proves to be useful, fighting the attraction between them is worse than a hex, especially considering Kale is keeping secrets. Libby has good reason to believe that Kale is there to evaluate her performance as a witch, and fears her job is on the line. But soon, Libby has bigger problems than the elusive warlock and career stability. 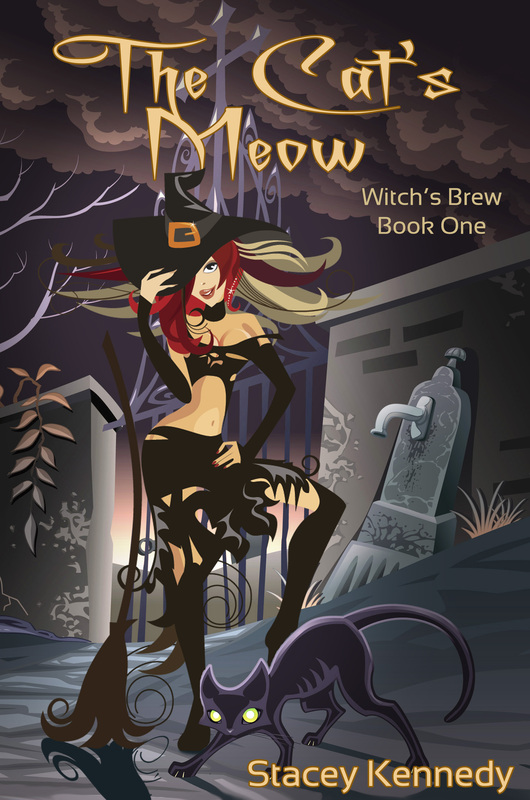 Her spells are turning up clues that point to something far more sinister than slaughtered cats, leading her to a threat that could shake the very foundation of her world. Now Libby lands herself in the midst of an uprising. She trusts no one and isn’t safe. Not from the warlocks stirring up trouble. Not from the worrisome rebellion she can’t escape. And certainly not from Kale who is weaving a very dangerous spell over her.